This IS a Global Mod, i.e. it will affect all the cash registers in all the Neighborhoods. It should NOT be unknowingly exported with the lots, but nonetheless it's strongly adviced to check the exported lots with the Clean Installer. If you don't like Global Mods, download the Custom Version, instead. This is NOT a Hacked Object: it will NOT grant you any "magic" impossible to achieve in the real life (such as instant skill gain or such). The Custom version is a normal object, like any other custom object; it won't affect anything in your game; the drawback is that the new "Practice" option will be available only for the two custom cash registers provided. 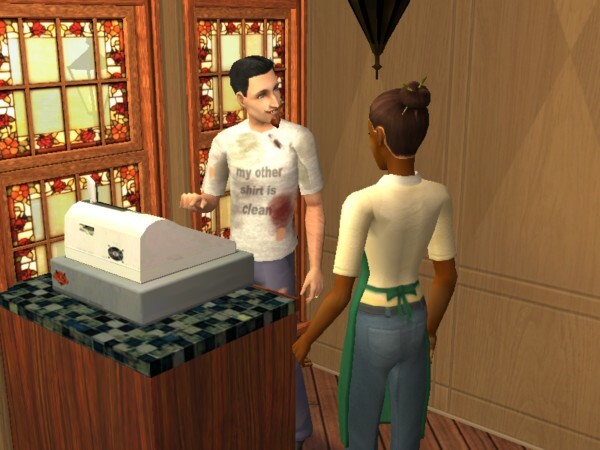 The Global Mod, on the other hand, affects the whole game, and modifies all the cash registers in all the neighborhoods, including the ones created by other users. I find very annoying that my sims, when they start a new business, take ages to sell each single item, due to their low skills in using the cash register. 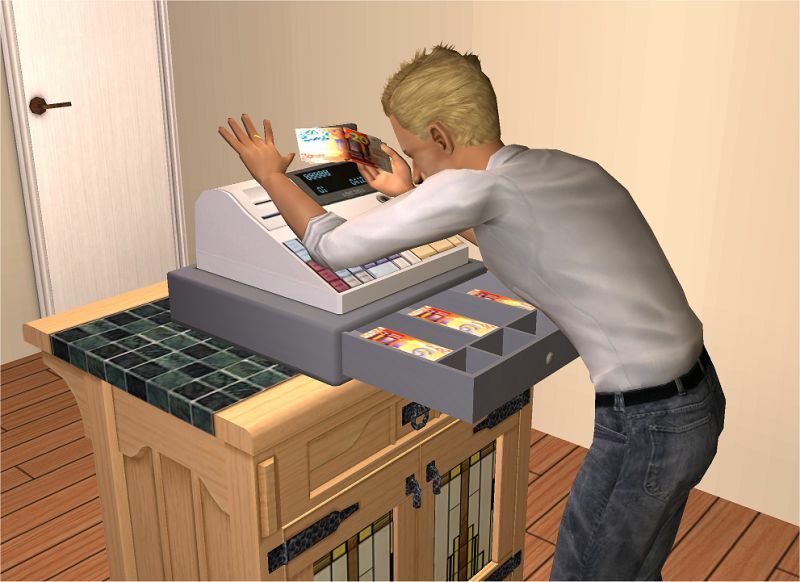 In the real life, if I were such a noob, I'd practice using the cash register when alone, instead of making my customers angry for the excessive waiting. 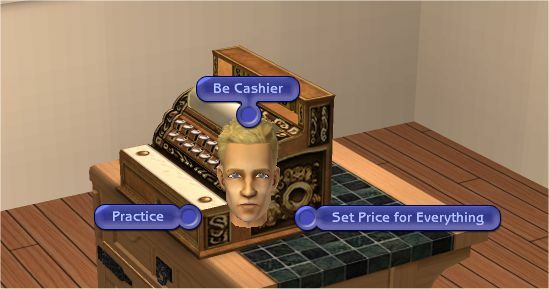 When you click on the cash register, you will get a new "Practice" option: use it, and your sim will mimic the process of ringing up the customers (while there is no actual customer, of course), gaining skills and badges at the same speed they would get them with a normal cash register. Every family member can practice the cash register, including children! As you know, the badges are not shown in the children's stats, but they will gain them nevertheless, and when they grow to teens, the badges will be visible. the shop is closed: you can't practice in front of the customers! 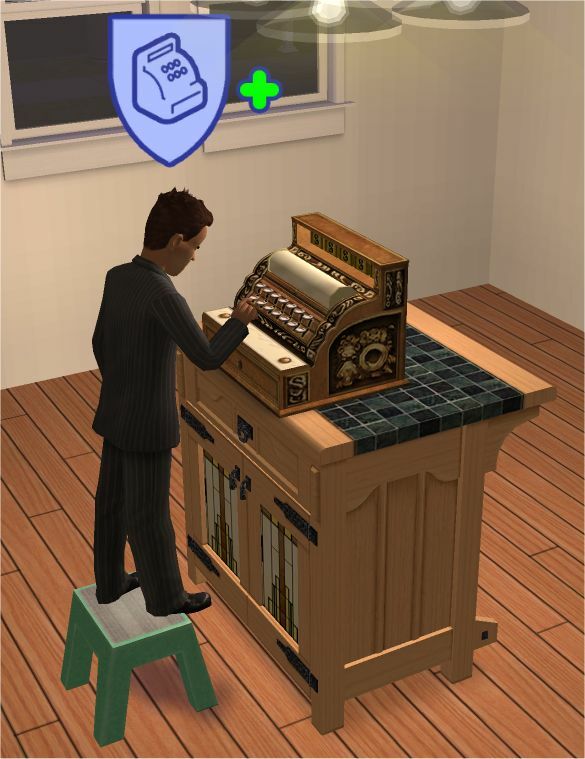 Once installed the mod, all your cash registers will instantly gain the new "Practice" option: no need to re-buy them. *OFB IS REQUIRED* - Any other EP in addition to OFB will work fine, too. To install, unpack the attached rar to your Downloads folder (you can use the Q-Xpress); the rar contains two files: one is the actual global mod, and the other is a special stool used by children in order to reach the cash register. You need both in order for the mod to work correctly. To uninstall, remove the two files from the Downloads folder: all your cash register will instantly lose the "Practice" option. Do NOT clone - Do NOT repost anywhere!